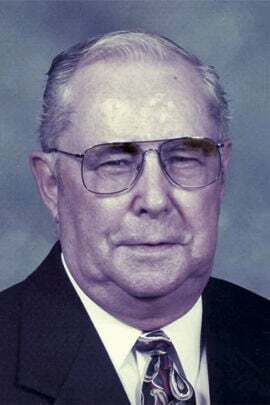 CASPER—Roy Nathan Clark, age 93, of Casper, passed away March 31, 2019 at Shepherd of the Valley Care Center. Roy was born March 6, 1926 in Casper to Nathan and Freida (Kosanke) Clark. Roy was a lifelong Casper resident and graduated from Natrona County High School. Roy later served in the United States Navy. Roy worked at the Casper Commissary/Albertsons for 44 years before retiring, he then worked in the food court at the Eastridge Mall for eight or more years. He and his wife, Theresa (Nolan) were married in 1951. They lived a simple life, dedicated to his family, which consisted of one son Ronald (Lyn) and mother-in-law (Della Nolan). Roy loved card games of all types, sports, and traveling with Ron. At the age of 69, Roy married the second love of his life, Carolina (Von Bon) and they had a wonderful life together until he passed. He was preceded in death by his parents; his first wife, Theresa (Nolan); and two sisters, Rosemary Romer and Darlene Owens. He is survived by his wife, Carolina (Von Bon) Clark; his son, Ron (Lyn Heil); granddaughter, Darby; grandson, Quinn; nieces, Mary Dell Long and Carol Ann Wilson; and other nieces in Montana. A Memorial Service will be held on Thursday, April 25, 2019 at 3:30 pm at Saint Patrick’s Catholic Church. Inurnment will occur at the Oregon Trail State Veterans Cemetery at a later date. Memorial contributions may be made to Casper Humane Society in Roy’s memory.